The publishers of one of the world’s best known series of travel guidebooks say they are “responding to a changing travel market” by expanding from writing about travel to arranging and selling it. Rough Guides, the well-known British-based travel guidebooks, will stay in the guidebook market and will now also arrange trips “based on customers’ individual wants and needs”. “For people who love adventure but are time-poor, Rough Guides is now organising tailor-made trips,” the company said in a statement. 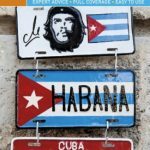 London-based publisher APA Publications, which also publishes Insight Guides and the Berlitz travel and language-learning guides, took over Rough Guides a year ago. The Rough Guides series (its travel titles cover more than 200 destinations) began in 1982 with the Rough Guide to Greece, a down-to-earth offering conceived by Mark Ellingham, who was dissatisfied with the polarisation of existing guidebooks between cost-obsessed student guides and “heavyweight cultural tomes”. Initially aimed at low-budget backpackers, the series has moved upmarket in line with its readership, got into blogs and podcasts and become a major competitor with Lonely Planet. Now it’s organising tailor-made trips “for people who love adventure but are time-poor”. “A local expert will turn the customer’s preferred destination, budget, and activities into a dream trip,” the company said yesterday. Rough Guides is promising trips crafted to individual travellers rather than package holidays. “Each Rough Guides trip will cater for those with an adventurous spirit and include quirky locations that are off-the-beaten-track,” the company says. Independent and unique – we don’t sell pre-planned packages. Each trip is unique to the customer, so no two will be the same. Adventurous – and adventurous spirit has no age limit. We champion adventurous travel for all, and get to know each customer’s wants and needs before seeking out the best experiences in their destination. Authentic – we understand that travellers don’t just want the same old thing wherever they go. That’s why we make sure that each trip helps travellers “live like locals”’ and gives them a chance to experience the true charm of a place. Planned by a destination expert – with their knowledge, the expert can create unique, authentic itineraries that are completely personalised. The expert knows what’s worth seeing and what isn’t, how to avoid the crowds, and how to stay safe. Commenting on the decision to move into the travel sales arena, Rough Guides chief executive René Frey, said: “As our readership has evolved over the years, we’re conscious that not everyone wants to travel the same way. Many people want to hand the time-consuming planning process to an expert and use the time saved to immerse themselves in the culture of a place.